Renowned 20th-century sculptor who crafted public fountains and memorials. He graduated from the Cleveland School of Art and went on to study in Sweden, Germany, France, and Italy. His most famous works included "The Man and the Expanding Universe Fountain" that stands in front of the State Department building in Washington, D.C., and the Cleveland War Memorial Fountain. He was born in Rock Island, Illinois, and later relocated with his family to Cleveland, Ohio. 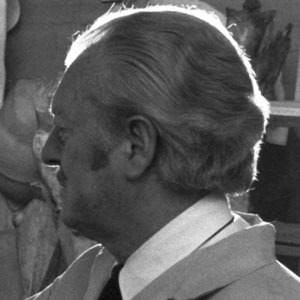 He and Alice Aycock were both popular American sculptors of the 20th century.